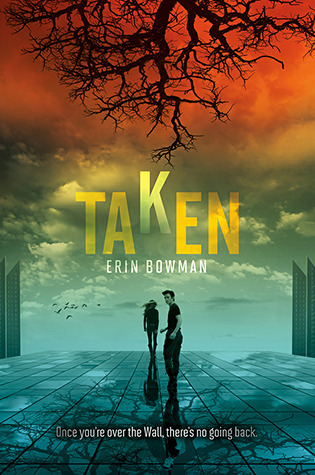 The book Taken by Erin Bowman is a thrilling story and in my opinion one of the best books I have read in a long time. The book is about a 17 year boy named Grey Weathersby who lives in a town named Claysoot, which is not an ordinary town. With walls surrounding the town, Claysoot is enclosed so that no one can get in or get out of the town. Not only that, but at midnight on every boys eighteenth they mysteriously disappears and is never to be found again. This is called the Heist. Many people try to escape the Heist by climbing over the walls but since the boys come back down dead, it has never succeeded, until now. Grey had been prepared to meet his fate from the Heist until he found a note that changed his life. The note contained a secret that had been left unrevealed, because part of the page was missing. Grey wants to find the answer to the question but the only way to find out is over the wall. Then his life changes dramatically. Friends turn to foes and enemies become friends. Grey climbed over the wall for answers but was only left with more questions. Will he finish his quest of finding the truth or be stopped by his actions in doing so. The book, being the first book in its series, has been one the most interesting stories I have read in a while. With an excellent plot and a captivating storyline, the book throws many plot twists at the reader. Not only does it throw the reader off guard but it also foreshadows events that many readers would have not predicted. If you like action and books that are placed in a dystopian world this book is the right book for you.